Play has come to an end on Day 1 of the Foxwoods World Poker Finals $2,700 No-Limit Hold 'em Main Event. Just under 270 players have entered the Main Event so far and it looks like 160 will advance to Day 2. Play will resume at noon tomorrow with blinds at 300-600 with a 75 ante. David Vaillancount appears to be the chip leader at the end of Day 1 with 195,000. Registration and re-entries are still available until the end of the first level of play on Day 2. Full payouts and final numbers will be posted at that time. End of Day 1 chip counts and Day 2 seat assignments will be made available right here on FoxwoodsPoker.com later this evening. The players on Day 1 of the World Poker Finals Main Event are now on their final break of the day. When play resumes, the blinds will be increased to 200-400 with a 50 ante. So far, there are 247 total entrants with 187 remaining. Some of the players in the Day 1 field include Chad Brown, Vanessa Selbst, Chris Tryba, Todd Terry, James Campbell, Dave Stefanski, Peter Campo, James Woods, Vinny Pahuja, Raj Patel, David Paredes, Tim Reilly, Rob Brown, Mike Dentale, Bobby Corcione, Steve Dakota Happas, Will Failla, Fabio Dagata, Tarun Gulati and Vinny Maglio. Level 6 just got underway here at the Foxwoods World Poker Finals Main Event. So far, there are 240 entrants. Registration and re-entries remains open through Level 9, which is the first level of play on Day 2. Vanessa Selbst Joins the World Poker Finals Main Event Field! 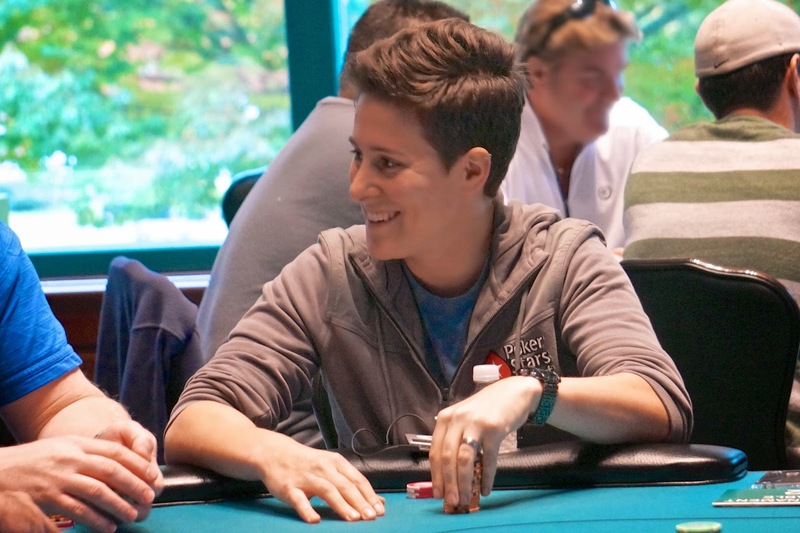 Widely considered one of, if not the best poker players in the world, Vanessa Selbst has joined the field of the Foxwoods World Poker Finals Main Event. 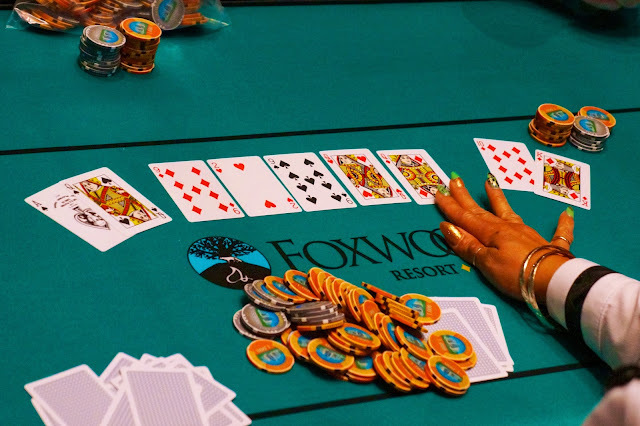 Players in the $2,700 No-Limit Hold 'em Foxwoods World Poker Finals Main Event will play a total of eight levels on Day 1. Play will conclude around 8:45pm. Registration is open throughout all of Day 1 and through the first level of Day 2. Re-entries are also available through the end of registration. There are currently 152 players in the field at the start of Level 2. World Poker Finals Main Event Feature Table now Streaming Live with James Woods! The feature table of the Foxwoods World Poker Finals Main Event is now streaming live. 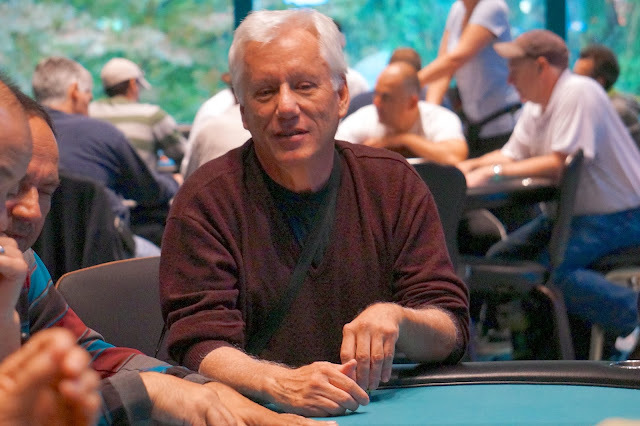 In Seat 7 at the feature table is none other than legendary actor James Woods. Woods, who was recently on the Showtime series "Ray Donovan", is a regular feature here at Foxwoods tournaments and today is taking his shot in the Main Event. The World Poker Finals Main Event is Underway! The $2,700 No-Limit Hold 'em Foxwoods World Poker Finals Main Event is now underway. You can watch the feature table streaming live at FoxwoodsLive.com.